Maurizio started his career in the second part of 90’s founding an internet consulting company. He led the internet consulting company for three years, after which he became chief executive officer of S3.Studium, a strategy management consulting firm founded by Prof. Domenico De Masi. After that experience, for almost eight years he was partner & chief of development,innovation and communication at ADHOC CULTURE, a management consulting firm for public and cultural sectors. 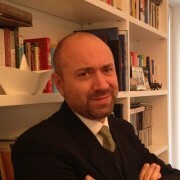 At the end of 2012 he became member of the AchieveGlobal Italy Management Team. He has experience in many and heterogeneous sectors: ict, tlc, finance, corporate services, food, fashion, tourism, cultural heritage, cultural industries, health&care. He also teaches in Masters Degree and he has active collaborations with think thanks. Maurizio combines his experience as entrepreneur, executive manager, consultant and lecturer with an inborn attitude towards continuous improvement.